For Buddhists, the ultimate goal of spiritual practice is to awaken to one’s true nature, which is the nature of the fully enlightened Buddha. For Christians, the goal is to tap Christ Consciousness. 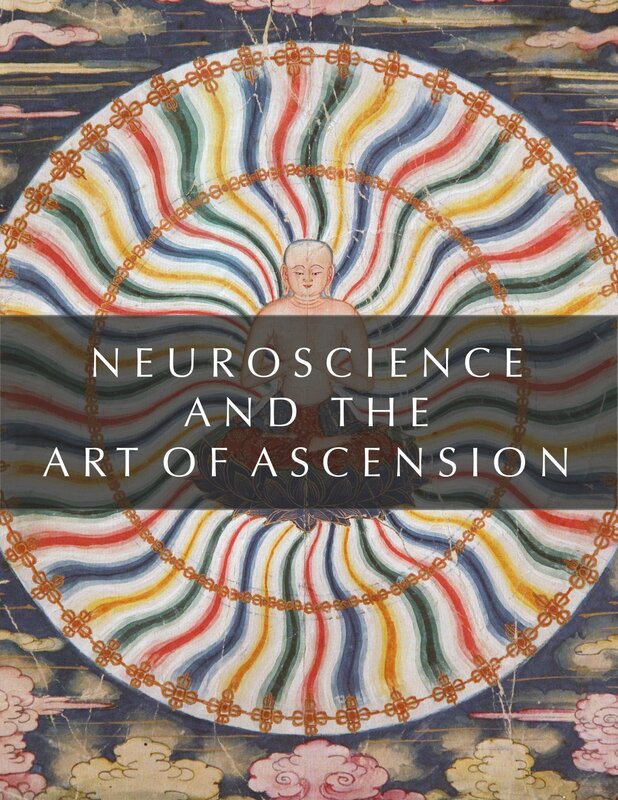 The sacred Art of Ascension shows us the way to attain these elevated states of being by helping us build new brain circuits. 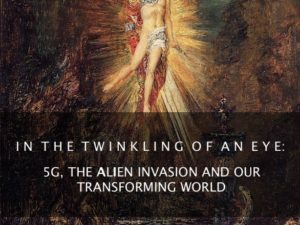 It has been a year since I did my interview on Gaia with Regina Meredith, and we talked about my two core subjects, raising our Ascension Intelligence to counter the rise of Artificial Intelligence and the power of sacred art to rewire our brains to match the angels and avatars of the divine realm. Neuroscience confirms that sacred art is a conduit between us and the divine beings and the realm they inhabit. During the interview, Regina implored me to explore the work of Dr. Joe Dispenza, who says we can create a new mind just by thinking about it. I finally followed her advice and was truly ecstatic to find how his reports about the latest neuroscience mirror what the ancients said about the effect of sacred art on our minds, bodies and soul! One of Dr. Joe’s conclusions that resonated above all others is that our new self within us awaits revelation by rearranging our brain circuits and connecting with a different reality or environment than the one we habitually occupy. As Clare and I have developed in ARCANUM, our Gaia TV show, and our Sacred Art of Ascension workshops, this is exactly what the Buddhists, Gnostics and Christians say sacred images or icons of the awakened ones can do for us. An icon is a living image that functions as a two-mirror and portal to the divine realms. 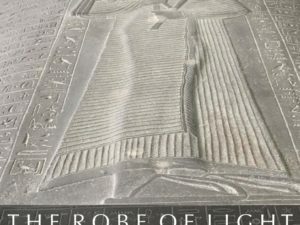 The waves of light produced by the particles of paint beaming from the icons are charged with spiritual power that rewires our brain to match the ascended mind and the perfected light bodies of the icon’s subject and connects us with higher realities in which these figures exist. As en-lightened beings, ascended avatars like Christ, Mary, Buddha, and others, have the ability to transmit the vibration of enlightenment to seekers via their physical image, which is equal to pure spirit energy. The sacred image puts us in their energy field, their reality. They can also transmit spiritual power. Through contemplation, meditation and reflection on sacred art of ascended beings we begin to live like them in their reality while in ‘ours’. Participants of our live “Sacred Art of Ascension” workshops, and Gaia viewers, have recognized the uniqueness, originality and quality of the work Clare and I are doing. We have matched the art of the ancient Egyptian, early Christian, Tibetan (Buddhist) and other traditions into a dynamic experience of extraordinary beauty and clarity that takes us to the source of true spirituality. It is awe inspiring to us to uncover the secrets of these great masters. 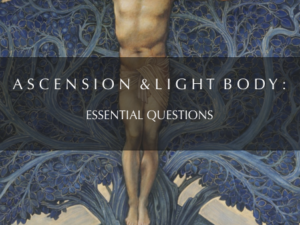 Our workshop reveals the historical and mystical teachings of the light body, which is our future self, our higher self, our true self. Featuring over 500 stunningly beautiful works of art from the masters of all ages, this collection of art has taken over a decade to discover, interpret and reveal. It is the greatest collection ascension and resurrection ever assembled. We are constantly investing in our collection (we have over 1,000 profound examples of sacred art created with the intention to guide us to our ascended selves), acquiring images through licensing or visiting museums and sacred spaces wherever we go. Several private collectors have gifted us with breathtaking images never seen in the public domain. We are always seeking the best images and ways to deepen the learning experience for our participants so that we call can connect with our divine selvs. Our workshops are a total immersion in waves of light coming from particles of paint placed their by some of humanity’s greatest living masters. No matter what spiritual practice or path you choose, sacred art can make a palpable difference, perhaps THE difference. We hope it is the missing piece you have been seeking. Neuroscience has proven that we can change our brains just by thinking differently. I call it developing our Ascension Intelligence. If we wish to ascend to a higher reality, as many of us do, we must begin to think, and act, like the beings who live there in our reality. In other words, we have to think and act as if we already live there, here. As if it is already a reality. I have been teaching this spiritual principle since the mid 1990s and early 2,000s when I did thousands of consultations with tarot cards. I learned to guide my clients away from the worry, fear, stress, anxiety, doubt and disbelief (the biggest dream killer) that traps us in our reality into developing their future selves by first imaging what they would be doing in their ‘next best life’, believing it by doing those things or living it. 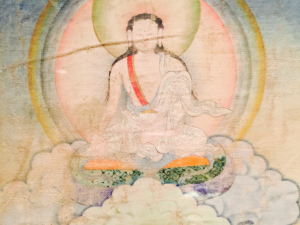 Ten years later, I learned that my “imagine it, believe it, live it” mantra was the core 3-step process of the Tibetan Great Perfection tradition in which the body attains its next level of spiritual evolution, the Rainbow Light Body. The Tibetans teach that we must first be introduced to our true nature. Next, we must visualize this experience, and then we live it. Joe Dispenza encourages us to develop single-mindedness when it comes to our goals. The reason why the most powerful icons depict transformation of human flesh into light is because this is the ultimate pay off of single-mindedness. As atoms or particles of paint manifest as waves of light, so too is our body made up of atoms manifested out of wave functions of light. Nueroscientists did an experiment where they had subjects come to a lab an hour a day for four weeks. They asked them to pull a spring for an hour a day for four weeks. At the end of four weeks they had a stronger muscle, a 30% increase in muscle strength from doing this over and over. A second group came to the lab for an hour a day for four weeks and mentally rehearsed pulling the string. They never touched it. At the end of four weeks when they tested the group that mentally rehearsed pulling the string they had a 22% increase in muscle strength and never touched the spring. Neuroscientific law, says Dispenza. Nerve cells that fire together, wire together. If we continuously fire the same circuits together over and over again there comes a moment where these neurons release this chemical, a chemical like a miracle grow, a glue that causes neurons to develop stronger connections…and sprout extra connections, so it becomes more enriched and more enhanced. He cites the example of the brains of braille readers. In autopsies they have discovered that they have enriched connections on their finger used to read braille and in their brain centers fro the finger used to read. The people that were pulling the springs in their mind actually caused new circuits to sprout and grow and become more enriched, which sends a stronger signal down the spinal cord right to that finger. It was their mind that moved that spring, because they actually had more circuits in place to send that refined signal. The message is that even the way we think in new ways affects our body. Who we are is what we think about, what what we mentally rehearse and what we think and act as. Extrapolating this to sacred art, we see how one-pointed focus on sacred images can work. As the mind connects with the image and visualizes or rehearses what it is like to be in the mind of Buddha or Christ, new neurochemicals begin to flow in that direction. We do this repeatedly, every day, and we will become a different person. Our brains and the mind of Christ will unite…in the image. This is the sacred practice used by the ancients to connect earth/humans with heaven and transform us into perfected or angelic beings. One way to do this is to keep a painting of Buddha, Christ, Mary or any other master, beside your bed. Before you rise in the morning, spend a few minutes connecting mentally, physically, spiritually and emotionally with that figure. Allow your brain to make those circuits and release the neurochemicals of that experience. Rise from your bed as that person who is linked with that deity, instead of your usual self. Then, do the things those deities do. That is, act with compassion, wisdom, patience, generosity and love. 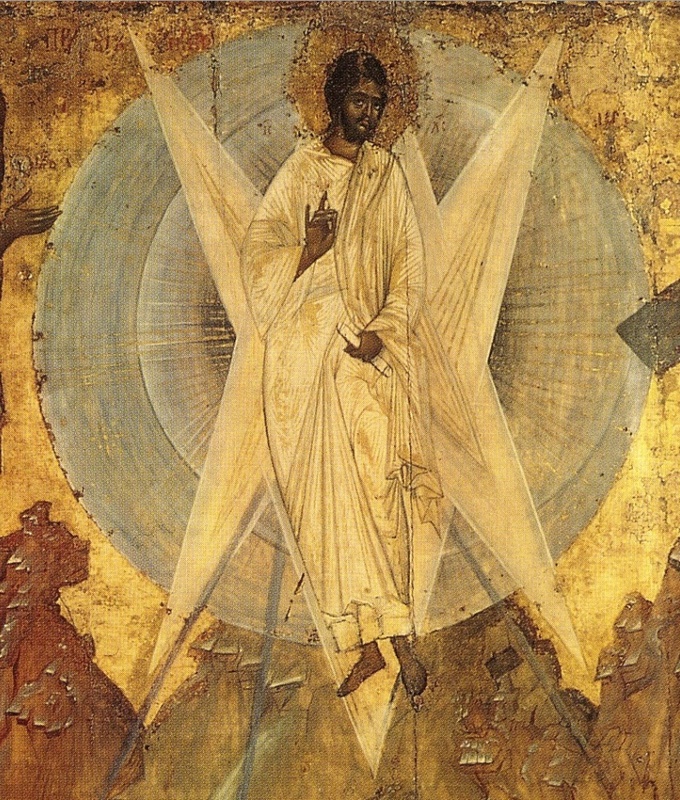 The Transfiguration is the preferred icon for this. Jesus told the disciples to “Rise and do not be afraid.” In other words, raise our vibration and experience the flip side of fear, which is love. Focusing our mind, our awareness, on these images provides a maps for our brain to make this experience our reality. Repetition. Repetition. Repetition. Repetition. Repetition. Through repeated connection with the icons we can, with the help of Christ, Buddha or Mary, rise above fear and create our new self…in their image. When we are neurochemically aligned with Buddha or Jesus we are in a state of love, infinite gratitude, wisdom and cosmic intelligence. Both Buddhism and Christianity teach that the love, wisdom and power seek is already within us. We simply need to unload the layers of suffering and false perception that mask it. These layers are like clothes. Once we remove them and are naked we are ready to be cleansed, baptized and transfigured. When we rise, and are not afraid, we live our lives based on a new set of neural connections, instead of the old. This changes our experience. Virtually every ancient spiritual tradition symbolizes this change via acquisition of a white robe, symbolizing purity and love. This is actually a miracle. But maybe not. A miracle infers that something supernatural occurred, something that destroyed or transcended our previous known limits. Actually, we were made in the image of God. Just as we have born the image of the earthly, so too will we bear the image of the heavenly. The images show us the way to do this. We can enter this new phase of our life, this new state of being, through the image. Wow! I loved this article and to see a painting of Jesus as black after reading a book on Enoch and Jesus being black is amazing!